Michael Martin Garrett/StateCollege.com Abraham Rovansek, who's entering the Navy to pursue being a diver, has been swimming for 10 years. Even though the annual Day of Joy event is not competitive and only for fun, Rovansek says "it still really always gets crazy." Isaac Karp of the Penn’s Valley swim team thrashed his legs with fury, steadily driving his unwieldy black inner tube down a lane of the Park Forest Community Pool in State College towards his cheering teammates. The inner tube relay was only one in a series of events at the Park Forest pool Saturday morning for the seventh annual “Day of Joy” swim meet. Swim teams from all over Centre County congregated in State College on Saturday for a series of wacky relay races, including the inner tube and noodle relays, piggyback relay and three armed relay (which is similar to the land-based three legged race). Isaac says some of these relays are more difficult to swim than a regular lap, but each offers a fun challenge to enjoy with his teammates. “I like everything we do over the course of the day,” he says. For Issac’s mother Joan Karp, Saturday’s event wasn’t only a chance for her son to have fun with fellow swimmers. It was a display of the camaraderie felt between the various swim teams across Centre County. Karp, one of the head coaches of the Penn’s Valley pool swim team, says the privately-operated pool has been in a difficult financial situation for years that was complicated by the retirement of the pool’s volunteer maintenance man of the last 20 years. When parent representatives from the Central Pennsylvania Swim League learned about the pool’s position, they responded with an outpouring of support. Karp says she was touched by this show of “immense kindness and support,” and hopes that the money raised will offset the yearly cost of maintaining the “antiquated” Penn’s Valley pool throughout the winter. This theme of countywide friendship was evident on every level of Saturday’s event. For each event participants partnered up with swimmers that would normally be their rivals, creating teams that spanned ages, genders and hometowns. 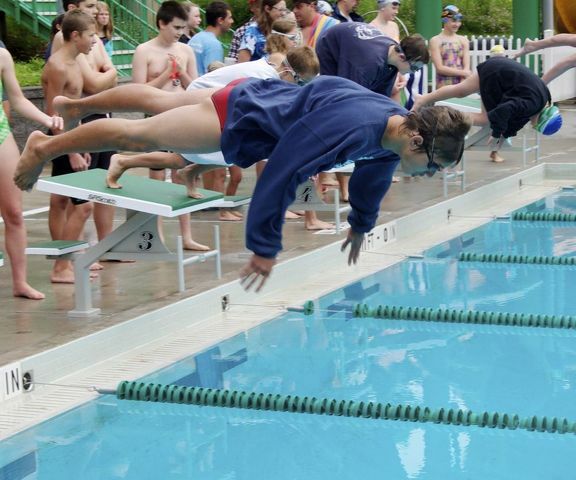 For Meghan Lewis, 13, of State College’s Science Park Recreation Association swim team, the Day of Joy encapsulates what she enjoys about swimming. Though it may more individualized than some sports, her favorite part is being on a team with her friends and meeting new athletes from around the area. A Scranton man now faces up to nearly two years in jail after being sentenced on Friday for a case of public urination that ended with a police officer being treated for a broken elbow. 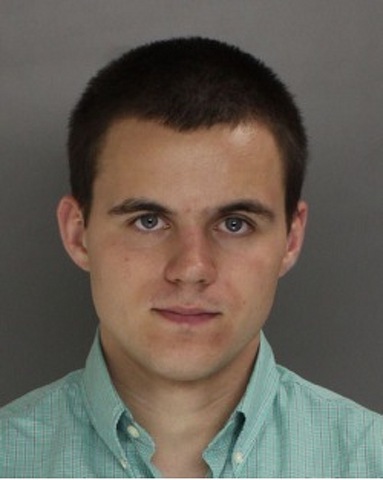 Brandon Bednash, 20, was stopped after urinating outdoors near Atherton Street and College Avenue by a police officer directing traffic for the October 12, 2013 Penn State football game against Michigan.